Durga Prasad comes from a very poor family that travels around seasonally for work. His parents work as watchmen over fields and they move from village to village as needed for work. Because of their travel, Durga Prasad's parents could not send him to school and they struggle to financially provide for him and his younger sister with enough food. 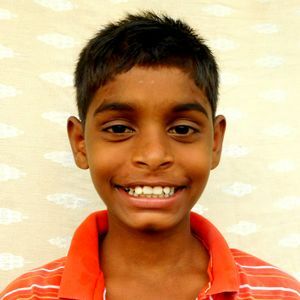 Please sponsor Durga Prasad so that he can go to school, receive nutritious meals, and have a bright future.